Russian President Vladimir Putin has announced that, as a retaliatory measure, Moscow is also suspending the INF nuclear treaty following the US decision to halt the deal. "We will proceed as follows. Our response will be reciprocal. US partners have announced that they were suspending their participation in the [INF] Treaty, and we are suspending it as well. They have announced that they are engaged in research and development, and we will do the same thing," Putin said at a meeting with Russian Foreign Minister Sergei Lavrov and Defence Minister Sergei Shoigu. Commenting further on the issue, the president told Russia's Foreign Minister Sergei Lavrov and Defence Minister Sergei Shoigu that Moscow was still open to negotiations, however, he instructed the ministers not to initiate talks regarding the matter. Putin stressed that the US has breached the agreement: in particular, the MK 41 launchers deployed by the US in Europe, which can be used with Tomahawk missiles, constituted a direct violation of the INF treaty. In addition, Russia's Foreign Minister Sergei Lavrov noted that the US has been in breach of the nuclear deal since 1999, when it started testing combat drones. The official stressed further that Washington's exit from the treaty was aggravating the situation that has developed in recent years in the field of nuclear disarmament as a whole. Despite the adoption of retaliatory measures to US withdrawal from the INF Treaty, Russia should not and will not be drawn into the arms race, Putin noted. "I want to draw your attention to the fact that we should not and will not be dragged into the arms race that is costly for us," the Russian president told Lavrov and Shoigu. Putin also asked the cabinet ministers to report on how Russia could counter the possible emerging threat posed by foreign space-based weaponry. "We are aware of the plans of some countries to deploy weapons in space. I want to hear about how this possible threat will be countered," Putin said at the meeting with Lavrov and Shoigu. This follows US Secretary of State Mike Pompeo's announcement, made on Friday, that the United States would suspend its obligations under the INF Treaty on Saturday and would initiate a six-month withdrawal process. 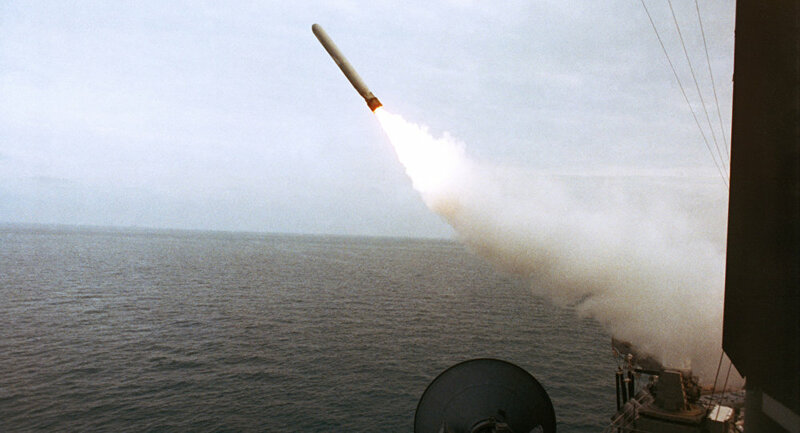 The United States has repeatedly claimed that Russia's 9M729 missile violates the INF treaty which bans missiles with ranges between 500 and 5,500 km. Moscow, in turn, has denied the allegations citing lack of proof.